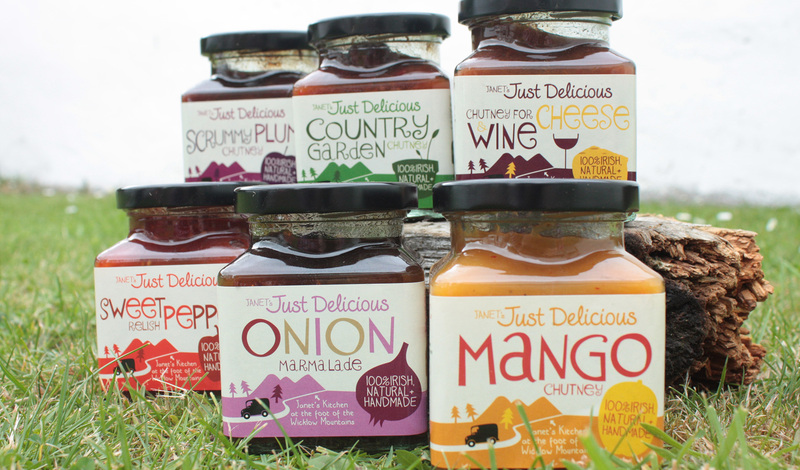 specialist business development solutions custom-built for the food sector. 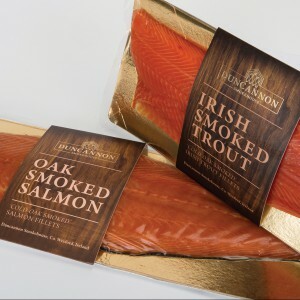 Ronan’s Seafoods is a family-owned seafood business located in New Ross, Co. Wexford. 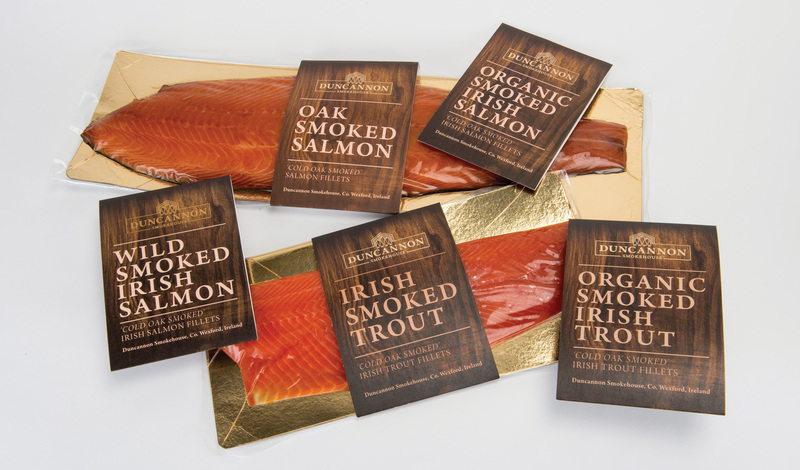 Having established a fine reputation for its excellent smoked salmon, owner, Kai Ronan recognised a gap in the market for a new range of high quality smoked seafood products. 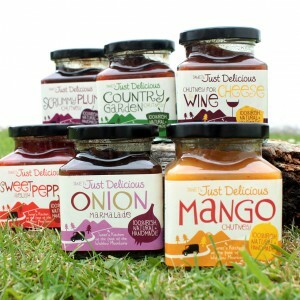 Kai approached Bullseye for expert advice on how best to develop their brand image and packaging design. 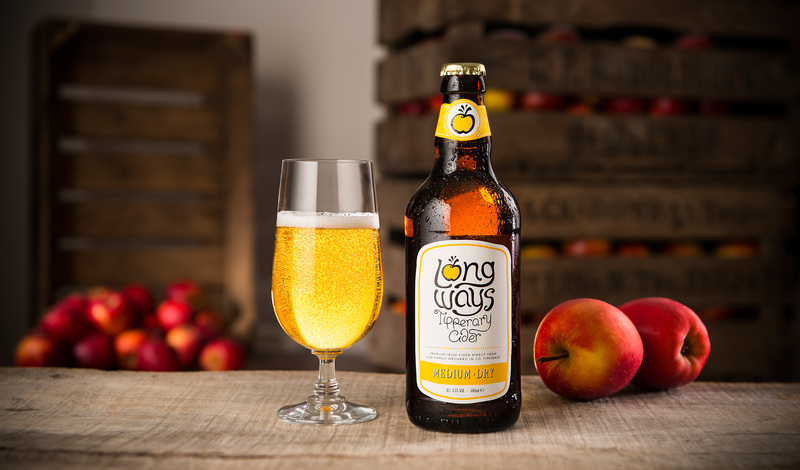 We worked closely with Kai to identify the unique selling points of the range and to understand the key point of differentiation in a highly competitive market. 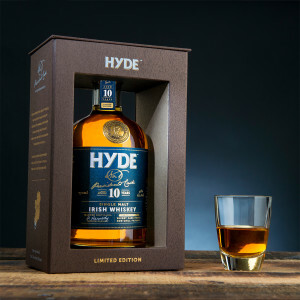 The superior quality of the ingredients and the care taken in the traditional, hand-crafted techniques were key to the brand personality. 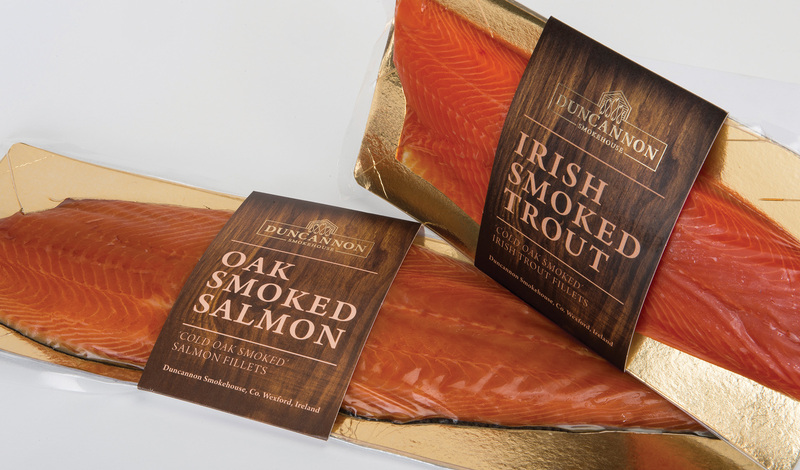 We set about researching and positioning and designing a totally new brand identity for the product range which we decided to call DUNCANNON SMOKEHOUSE. 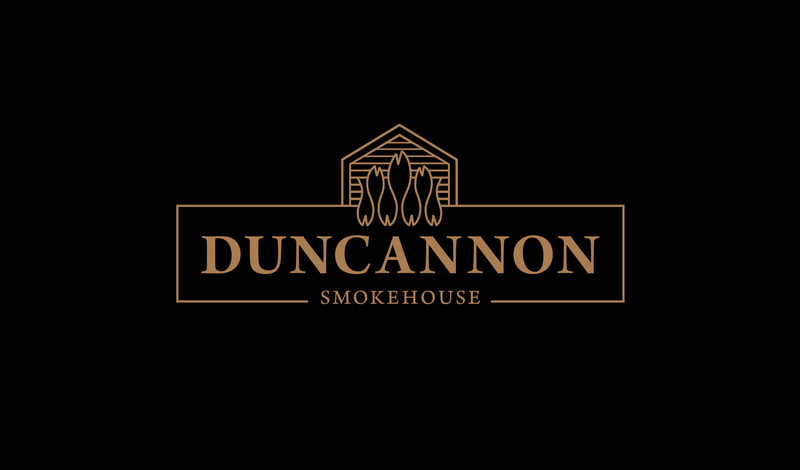 The result is the timeless, sophisticated ‘Duncannon Smokehouse’ brand logo which cleverly combines the image of seafood fillets hanging on traditional “tender hooks” with the natural wood, which produces the smoke flavour. 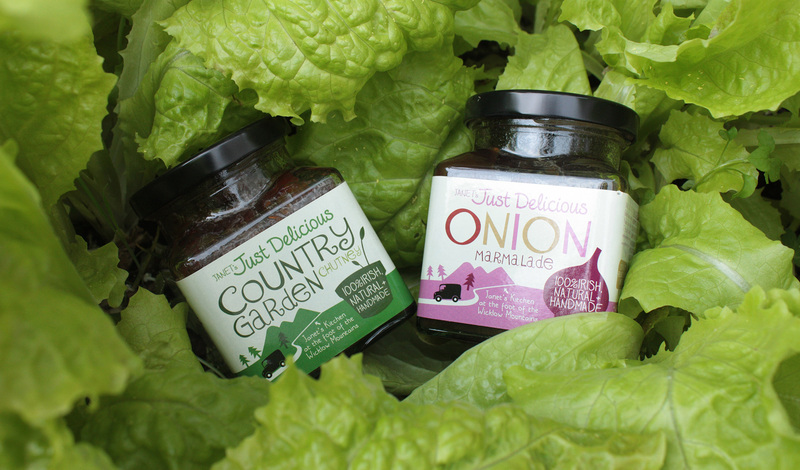 EXPORTING TO THE UK & SWITZERLAND! 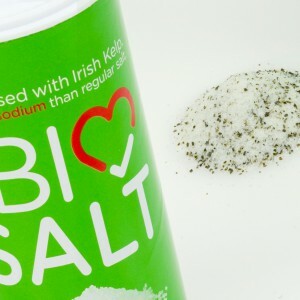 THE COMPANY HAS MOVED FROM A COMMODITY TYPE PRODUCT TO AN ADDED VALUE BRAND! 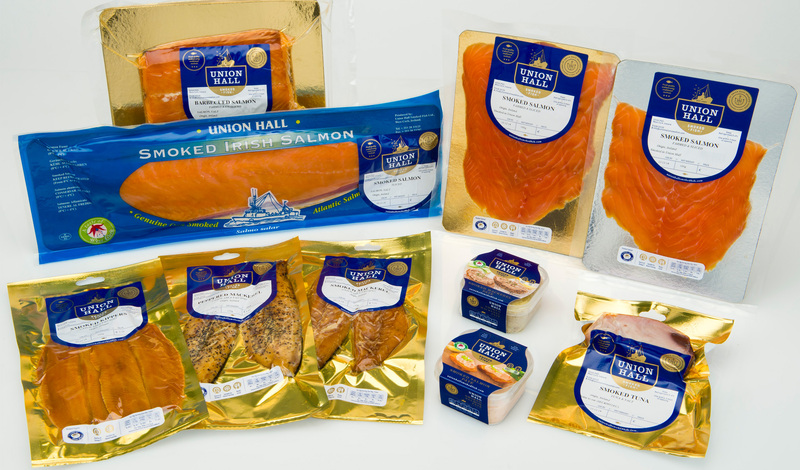 Atlantis Seafoods are based in Wexford and are famous in Ireland for their range of fresh seafood for the foodservice sector. However they did not have a brand or a retail presence. 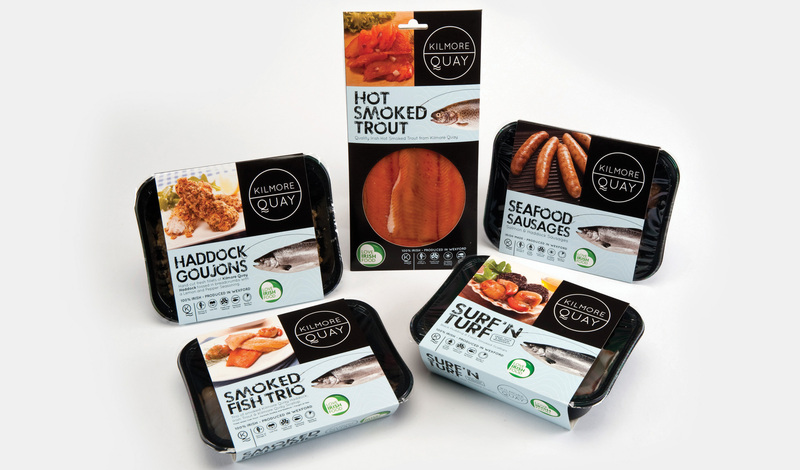 With a genuine flair for innovation and new product development, Atlantis sought out the services of Bullseye to enable them to bring a new branded range of “value-added” prepared seafood products to the retail market. 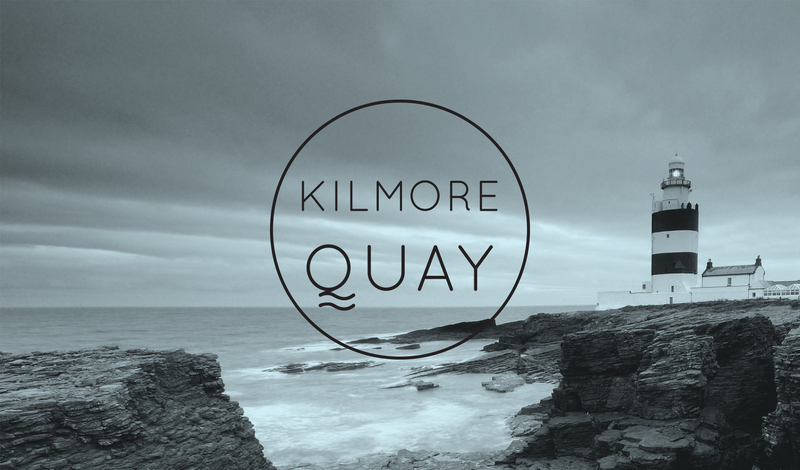 We set about positioning and designing a totally new brand identity for the new product range which we called KILMORE QUAY! 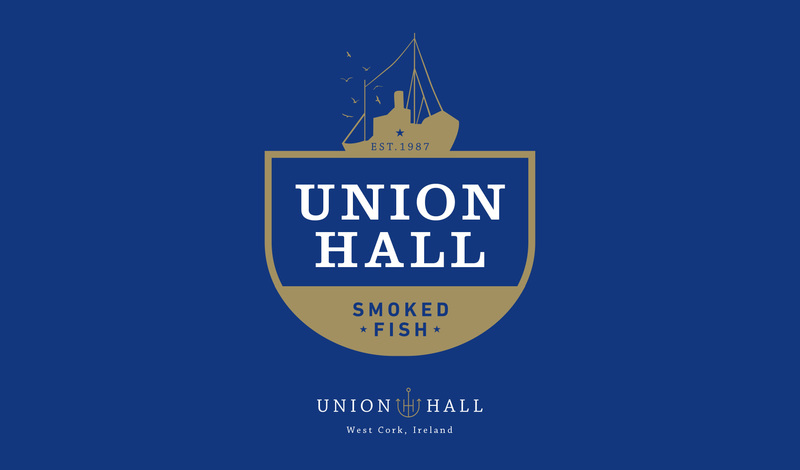 We took the company’s uniquely modern and innovative approach to traditional fish dishes to create a fresh, simple brand identity which we designed to reflect their commitment to sourcing locally caught, Sustainable, Irish seafood with a convenient twist! 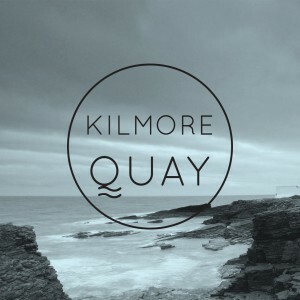 The new KILMORE QUAY brand identity is clean, simple, and modern and gives the consumer a clear awareness of the brand’s local Irish provenance. 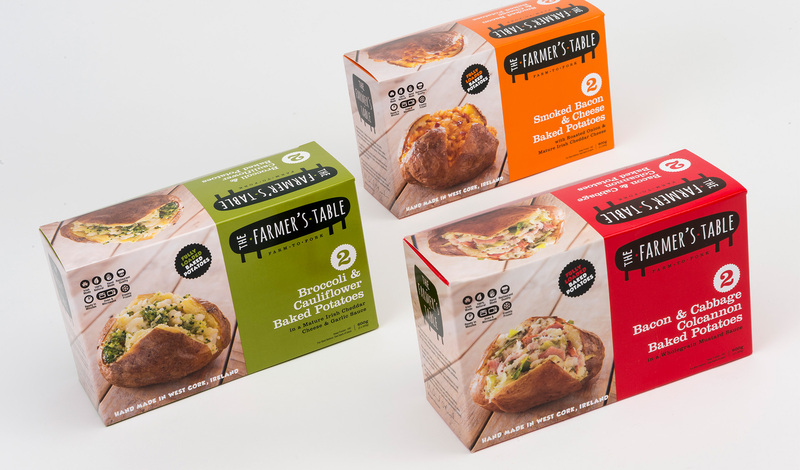 Strong food photography and clear Unique Selling Points identified on the front of each pack are our signature. 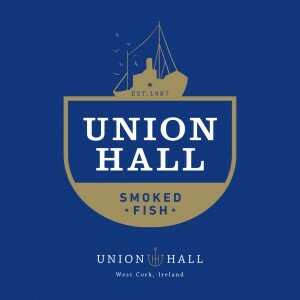 We continue to work closely with Kilmore Quay to develop and implement a full marketing and promotional campaign which streamlines the contemporary brand identity by using a consistent “brand look” throughout. 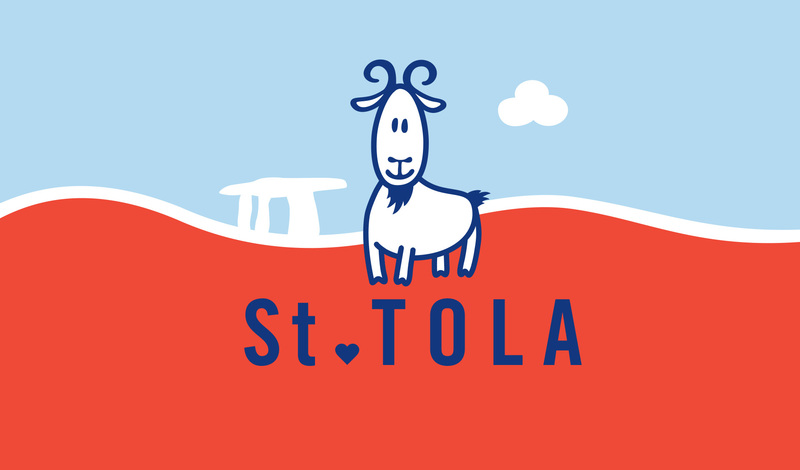 We have designed, developed and copy-written a new website, sales brochures, point of sale materials, and business livery. The results of this project speak for themselves. 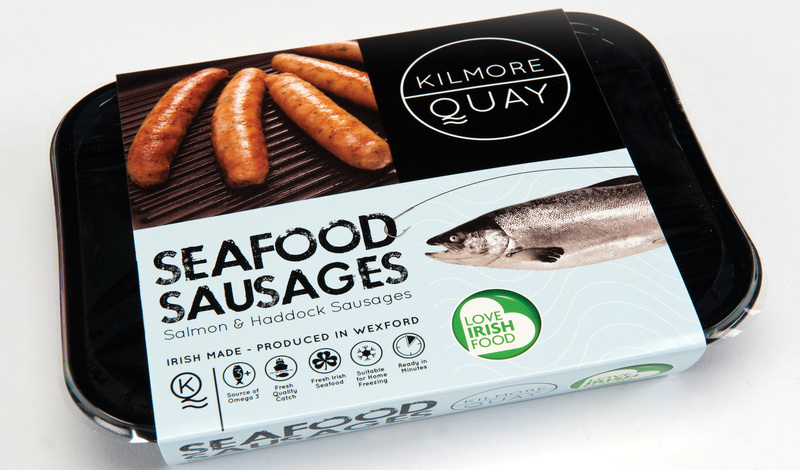 Kilmore Quay has received national awards and critical acclaim for their brand innovation and taste appeal of their unique Seafood product range. 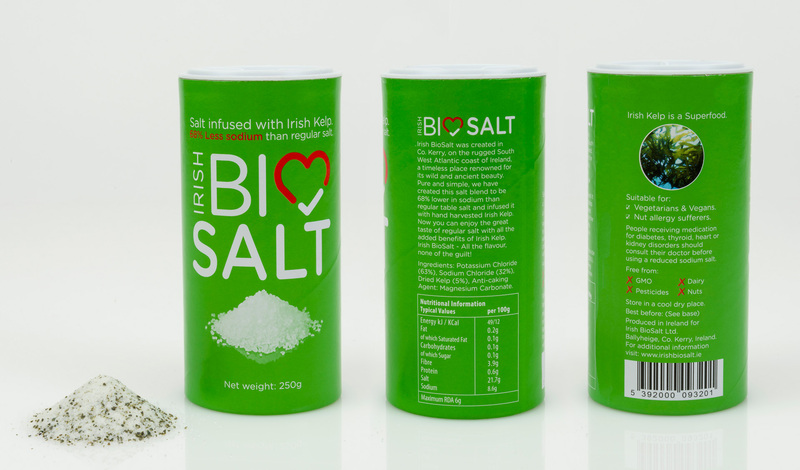 WINNER OF MOST INNOVATIVE SEAFOOD PRODUCT – IRISH FOOD AWARDS 2012! 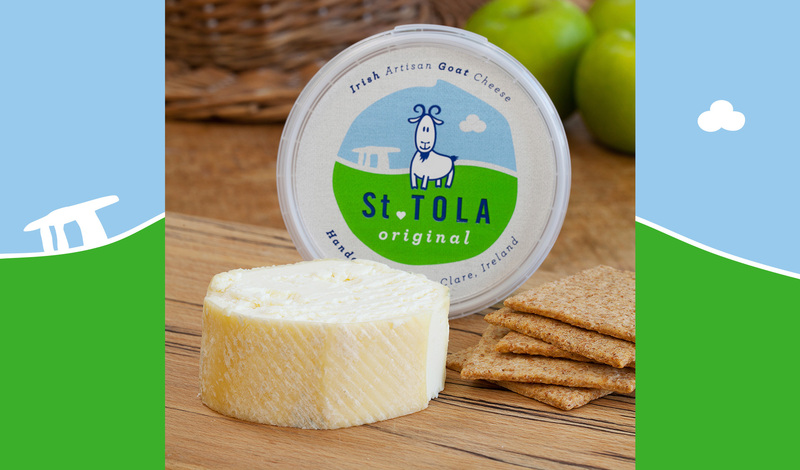 LISTED IN ALL IRISH MULTIPLES! 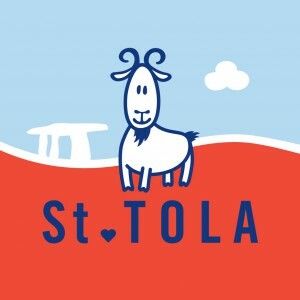 PR – Extensive press coverage on TV, Radio, & Press. 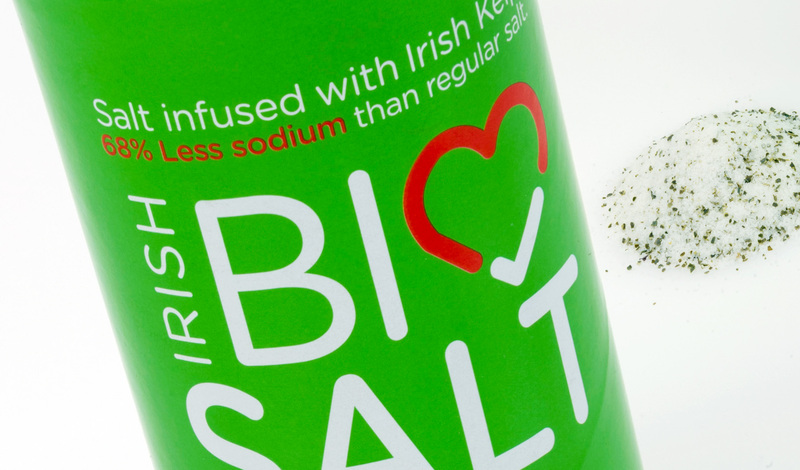 THE COMPANY HAS MOVED FROM A COMMODITY PRODUCT TO AN “ADDED VALUE “ BRAND ! 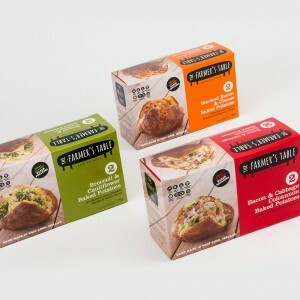 Haven Bay Care Foods approached Bullseye in Jan 2012 with an idea to launch a range of added value ready meals with sea Vegetables in the recipes! At that stage it was just an idea! 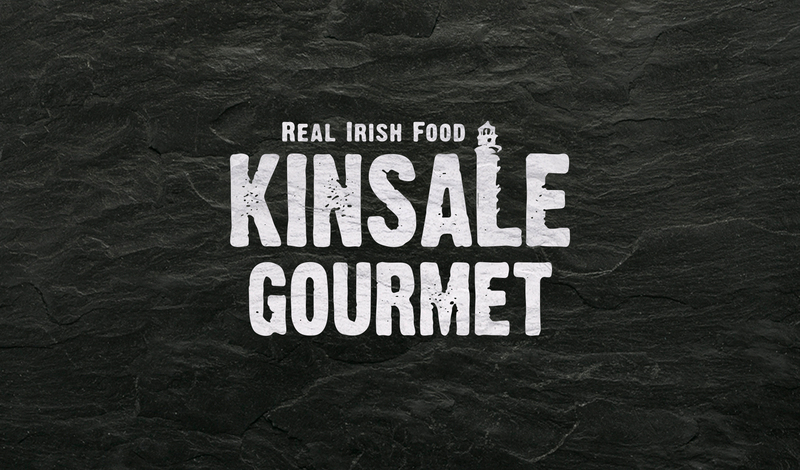 We set about positioning and designing a totally new brand identity for this new product range which we decided to call KINSALE GOURMET! 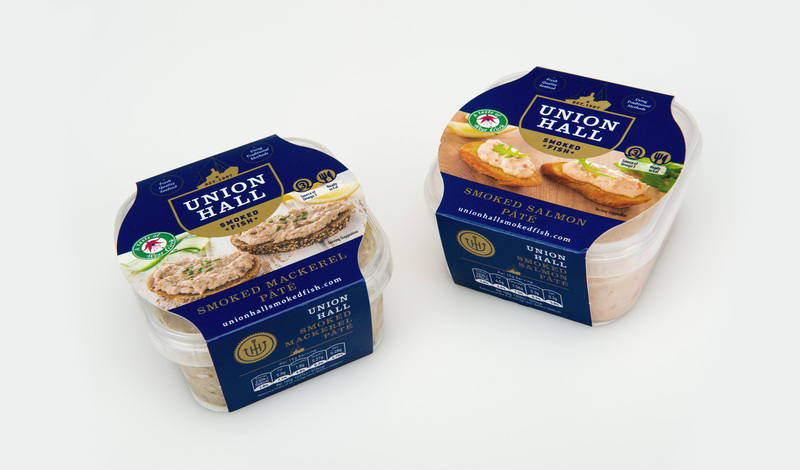 Following extensive research and product concept testing, we realised that we needed to create a carefully balanced brand image which demonstrated the superior taste, authentic brand provenance, and communicated the unique health benefits of the Sea Vegetables. 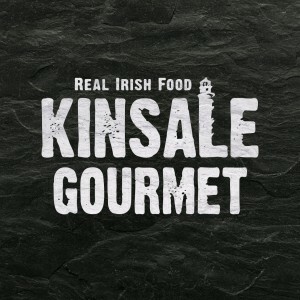 We worked with Kinsale Gourmet to design, write and develop their full range of promotional material. 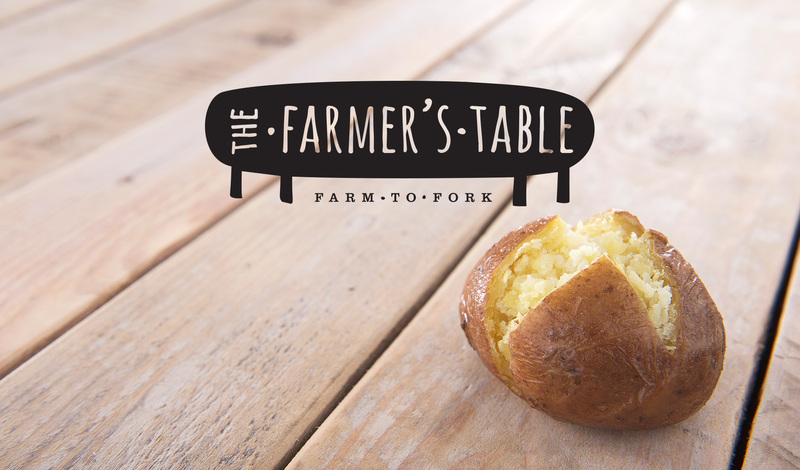 The brand logo and theme of sophistication is carefully maintained throughout all materials to ensure consistency. 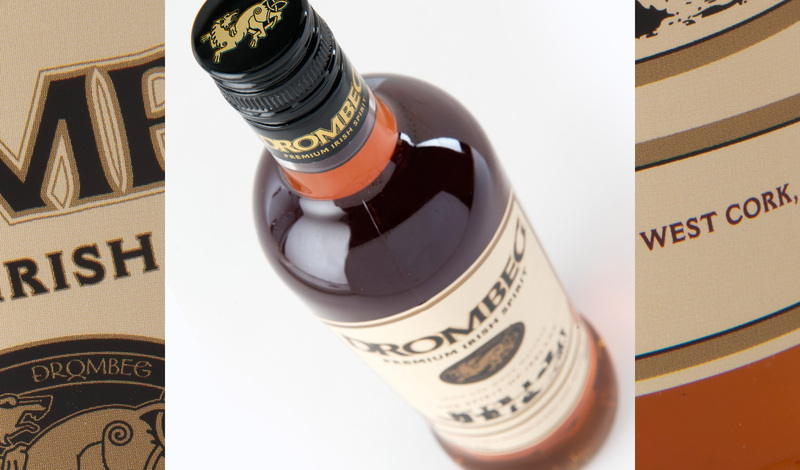 The result was a sophisticated black box with a window which evokes a sense of premium quality. 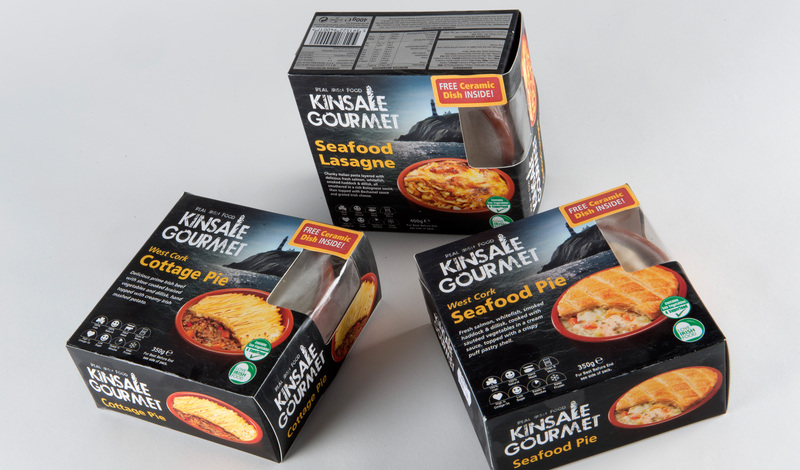 The backdrop imagery of the Old Head of Kinsale lighthouse combined with natural black slate, professional food photography, and clear unique selling points, on the front of each box is our signature. 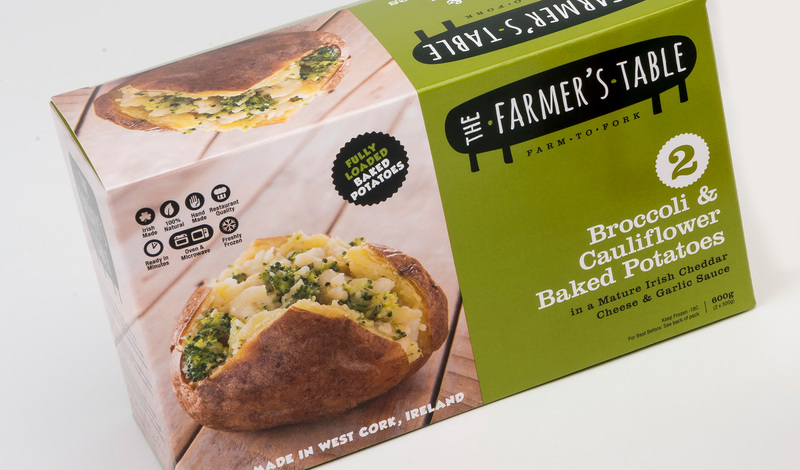 THE COMPANY WAS SUBSEQUENTLY SOLD IN 2014 ON THE STRENGTH OF THE BRAND CREATED BY BULLSEYE. 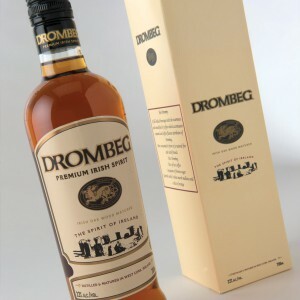 Drombeg is a totally new premium spirit created in Union Hall, Co. Cork using local spring water and local ingredients. 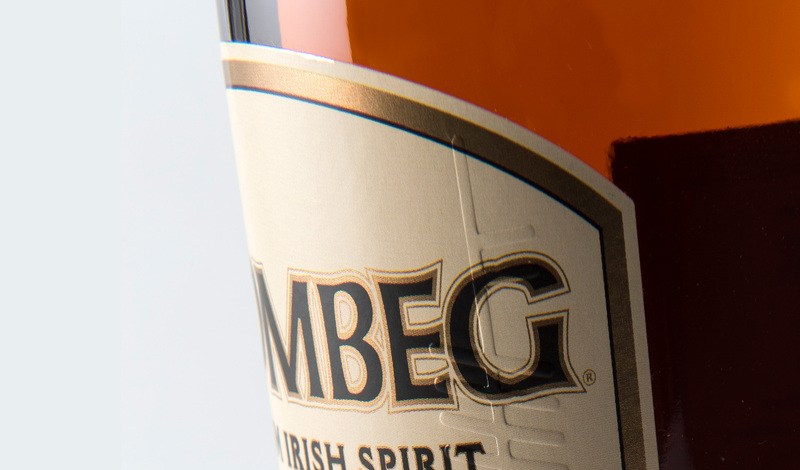 Drombeg owners had identified a niche in the highly competitive drinks market and sought assistance from Bullseye to take it from concept stage to a recognisable Irish spirit brand. 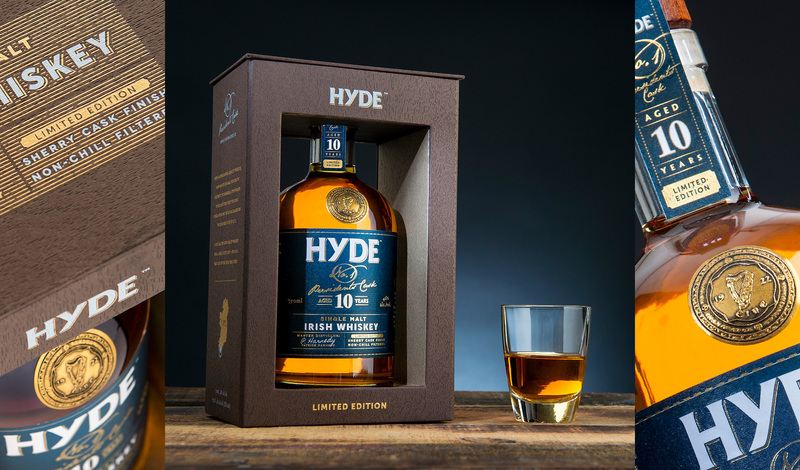 The brand image was designed to reflect the premium, ‘small batch’, luxury product while incorporating the brand name which refers to Ireland’s oldest stone circle located near Union Hall and the heritage it invokes. 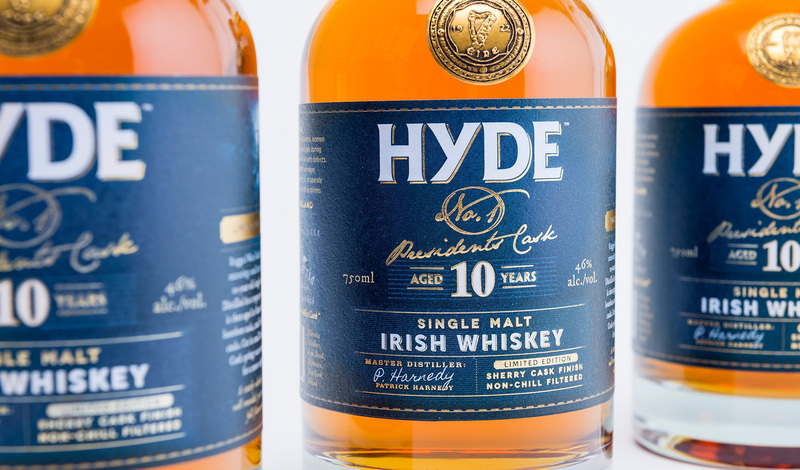 The brand identity resonates the deep love and passion the company holds for the ancient art of whiskey distilling and the product’s 100% Irish origin. 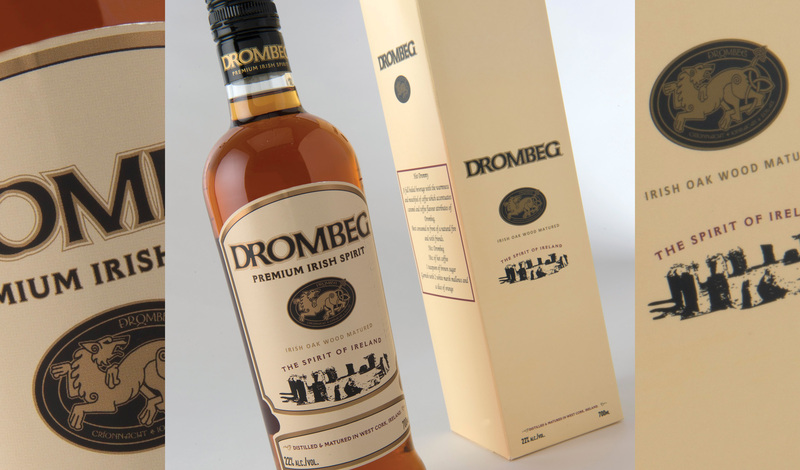 Bullseye provided Drombeg with a full brand development and promotional service including Logo / Brand identity design, Pack design, Web site design & copy, Sales brochure design & copy, Business livery, Point of sale material and an extensive PR Campaign. NATIONAL AND INTERNATIONAL DISTRIBUTION AGREEMENT! 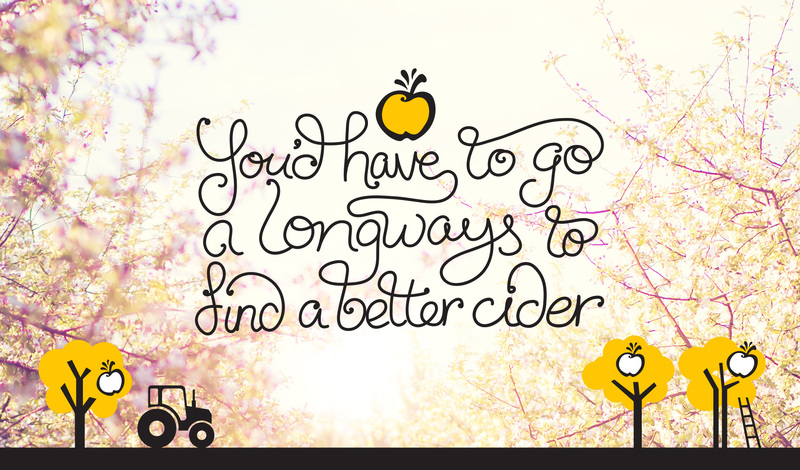 Exporting to over 1 countries worldwide including the US, Canada, China, Russia, & UK! 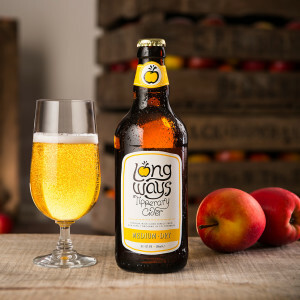 SALES UP +64% YEAR ON YEAR! 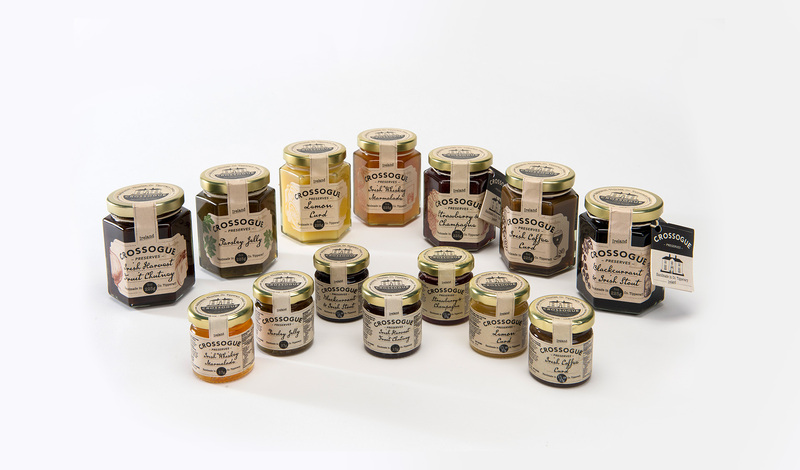 Crossogue Preserves is a family-run business producing a range of Jams, Preserves, Chutneys, Curds & Marmalade using the finest fruits grown and picked in the grounds of Crossogue House in Co. Tipperary. 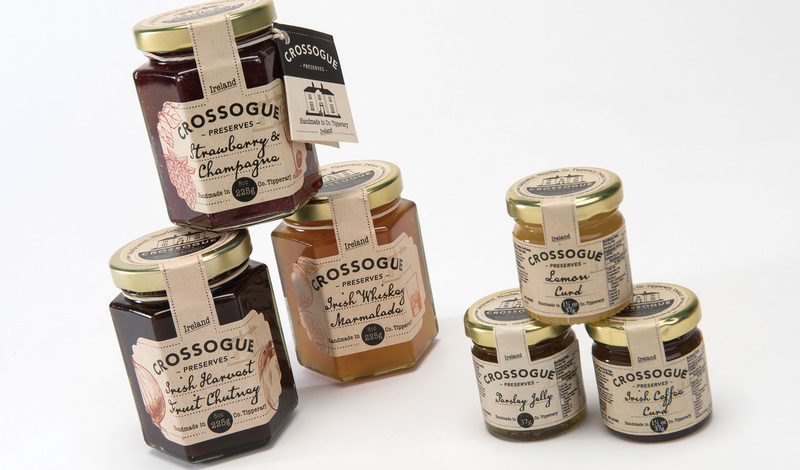 Crossogue came to Bullseye to develop a totally new brand identity for its core range of products to be relaunched. 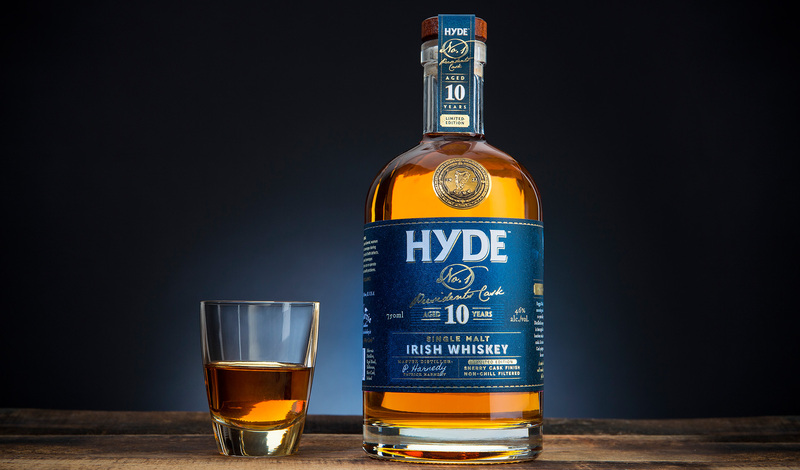 Bullseye developing a new “old world” brand image which would encapsulates the true personality of this artisan handmade brand. 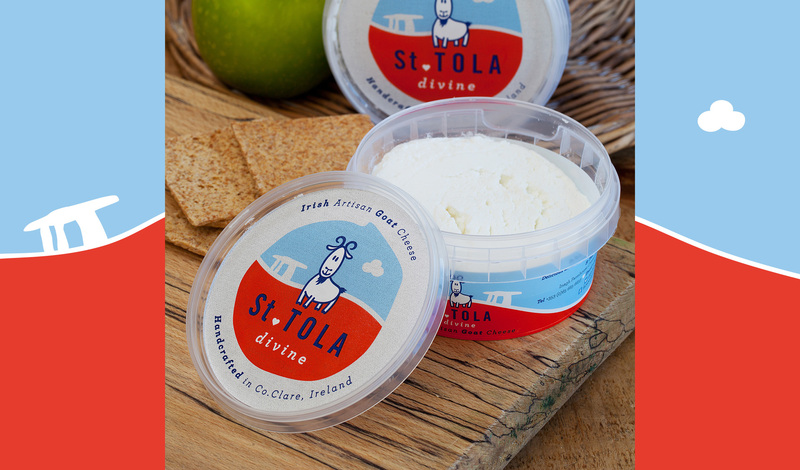 Traditional recipes handed down through generations combined with ‘simplicity’ and superior ingredients were the foundation stones to developing the new brand identity. 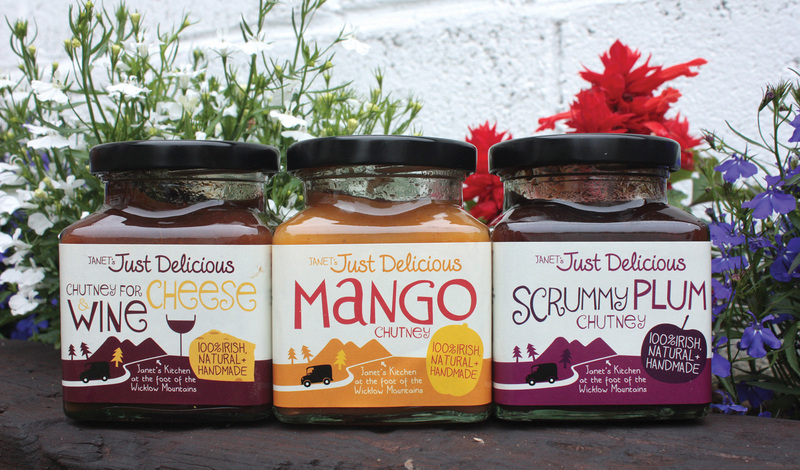 Hand drawn ingredient Imagery was developed for the new packaging to communicate the simple, natural, handmade brand positioning. 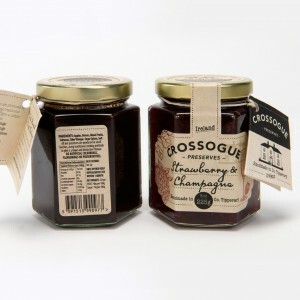 The new sketch drawing of the Crossogue country house gives the consumer an immediate sense of brand heritage and tradition. 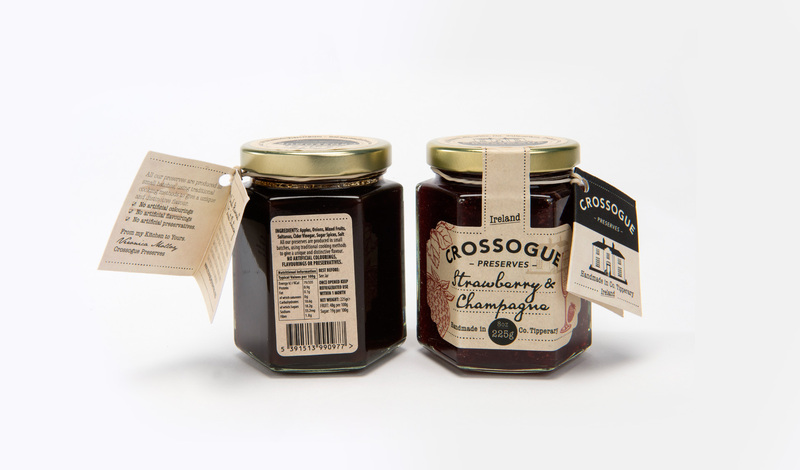 The ‘handwritten’ font style used in the product description evokes the careful, handmade, tender loving care, which goes into making each pot. 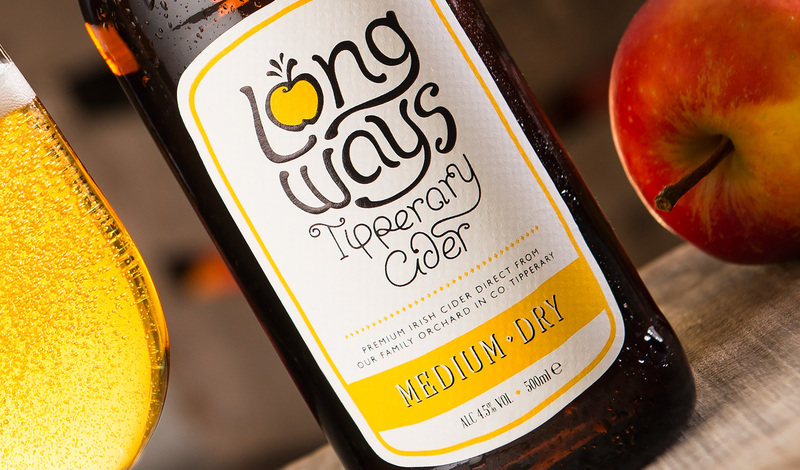 Exporting to the US and Europe! 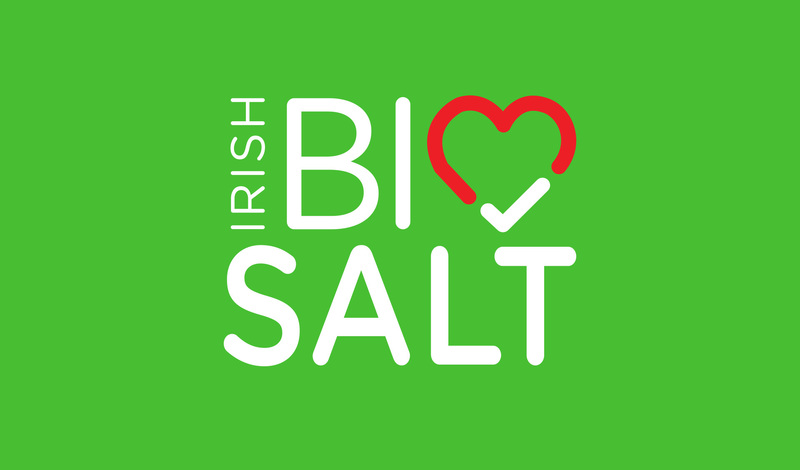 Achieved NEW Irish Multiple Listing! 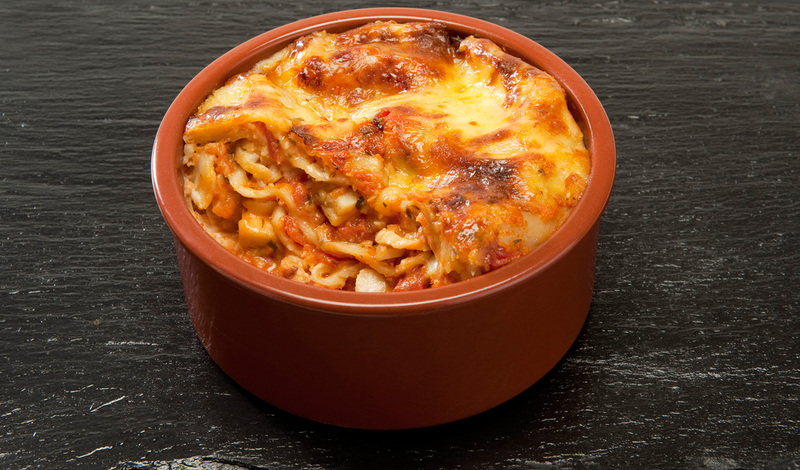 Achieve a national distribution agreement!